During the American Revolution, author/philosopher, Thomas Paine, wrote a series of pamphlets called The American Crisis in which he challenged colonists at the infant stages of a revolution to stay resolved and to have hope. Considered a liberal (most such revolutions against such a long-standing government as the British empire are), he reminded the colonists that the war against Great Britain was a just war, with God on our side. He denounced any thoughts of compromise or of negotiated peace, but called the colonists to hold onto the values and principals in which their only hope lay. This entry was posted in Church/State issues, Discerning God's Will Together, Gospel, leadership, The Church's Influence and tagged Abraham, church, culture, Genesis 22, Isaac, Moriah, political, politics, sacrifice, test, Thomas Paine on May 31, 2018 by Blake Coffee. I am no fan of politics. As far as I can see, it represents much of human behavior at its very worst. 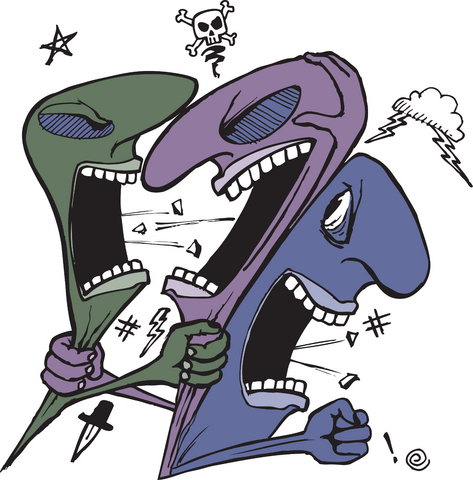 At least in our culture, politics seem to have devolved into the extremists and their screaming voices holding the larger percentage of us in the middle hostage. The more we try to shut those voices out, the louder they become, and the wider the chasm dividing our country becomes. And, in the meantime, every important issue politics touches gets hijacked into the feeding frenzy of labels and manipulation. In short, politics poisons everything it touches. This week, I am reading the story of Jesus’ crucifixion. It is so filled with ugliness and power struggles and politics and manipulation, it is an amazingly frustrating story to me. A few religious leaders who feel threatened by Jesus incite a virtual riot and use their influence to create an angry mob to ensure Jesus’ crucifixion…it is a portrait of how truly ugly humanity can be when politics take over. It saddens me that this kind of ugliness has invaded the church today in the same way it did 2,000 years ago. In fact, some of the nastiest, ugliest pictures I have ever seen of an angry mob have been church business meetings or staff retreats or deacons meetings or committee meetings. Crucifixions, as it turns out, have become a dangerously common phenomenon in the contemporary church culture. This entry was posted in Church Unity, conflict and tagged anger, angry, church, conflict, crowd, crucifixion, culture, Luke 23, mob, relationships on February 15, 2018 by Blake Coffee. This entry was posted in Church Unity, Church/State issues, conflict, leadership, missional, Peacemakers, Reconciliation, The Church's Influence and tagged American, bread, church, culture, devil, Jesus, lessons, Matthew 4, members, mission, politics, power, relationships, tempted, unity, wilderness on December 17, 2015 by Blake Coffee.